The favors themselves are tea-infused soaps. Everyone will get three different varieties: one chamomile, one green tea, and one earl gray. Each will be in a glassine envelope and have a tag affixed so it will look like an actual teabag. 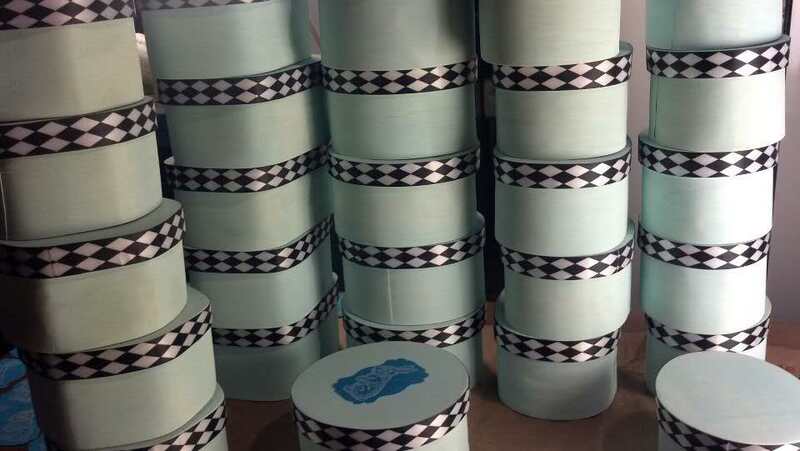 The trio of soaps will be in little balsa wood boxes with a blue-tinted white wash. I found a harlequin ribbon reminiscent of the checkerboard pattern seen throughout Alice in Wonderland so that’s been attached around the rim of the lid. 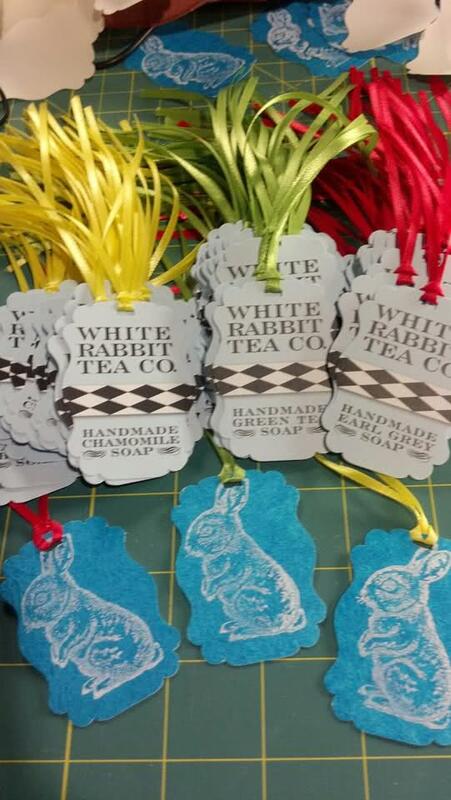 I created a ‘brand’ for the soaps (White Rabbit Tea Co.) and created textured stickers with a stamped rabbit to place on the top of each box. The soap itself is made, but It still needs to be cut down to size. After that I’ll be putting them into the glassine ‘teabags’ and attaching the appropriate tags and stuffing them in the boxes. Once I have everything finished, I do plan on taking and posting better photos. In the meantime, these will just have to do. I am also making something for my very pregnant friend for her shower gift. But until she sees it, I’ll be keeping that a little more secret. Don’t wanna ruin any surprises. As always, more to come. Sit tight!